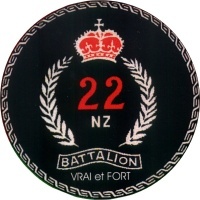 22 Bn Unit Historical Records. 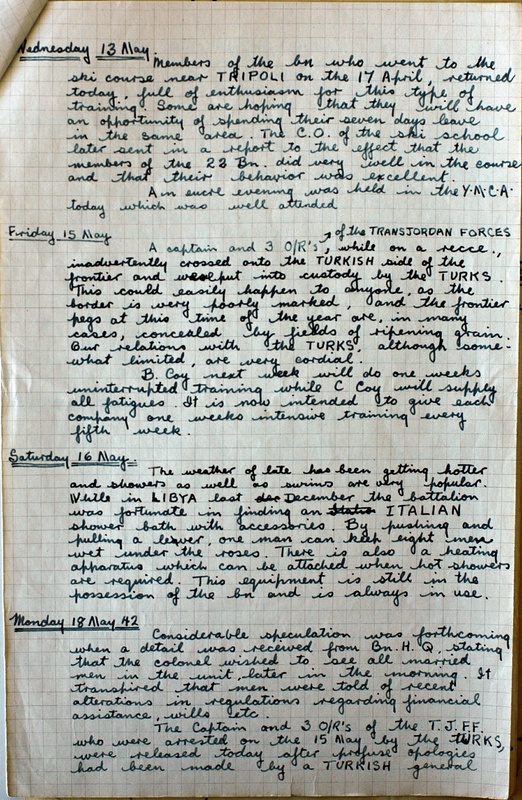 Period 25 March to 31 May 1942. 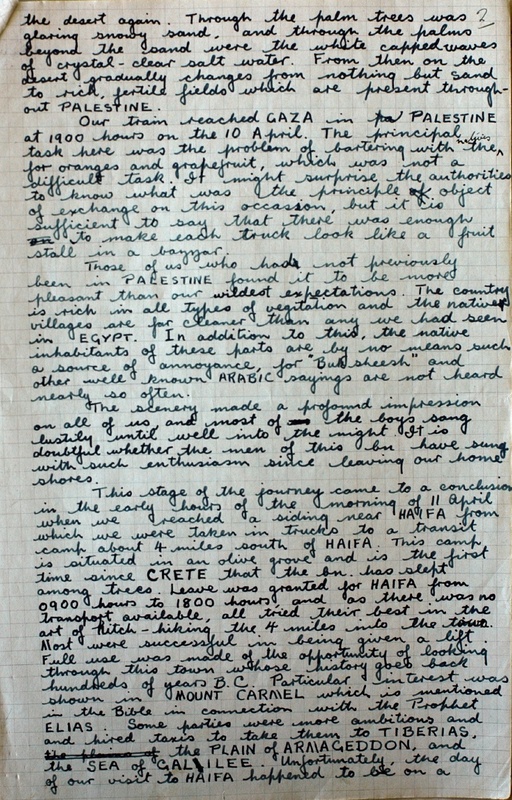 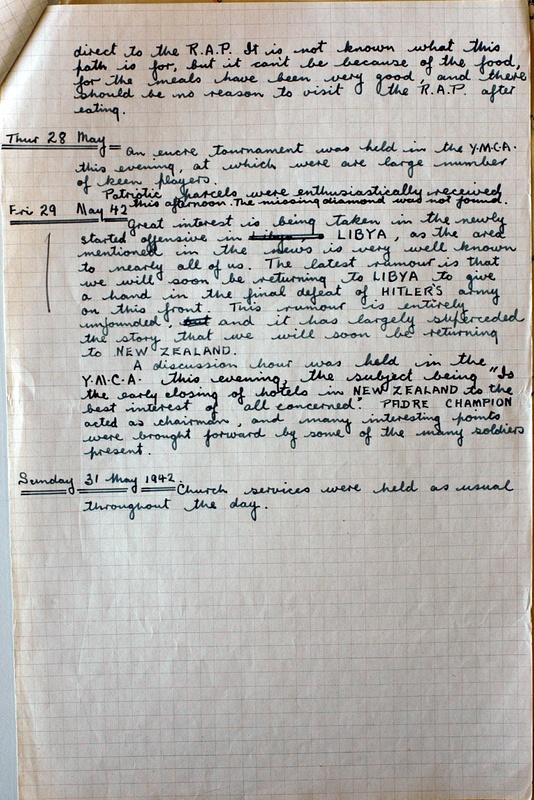 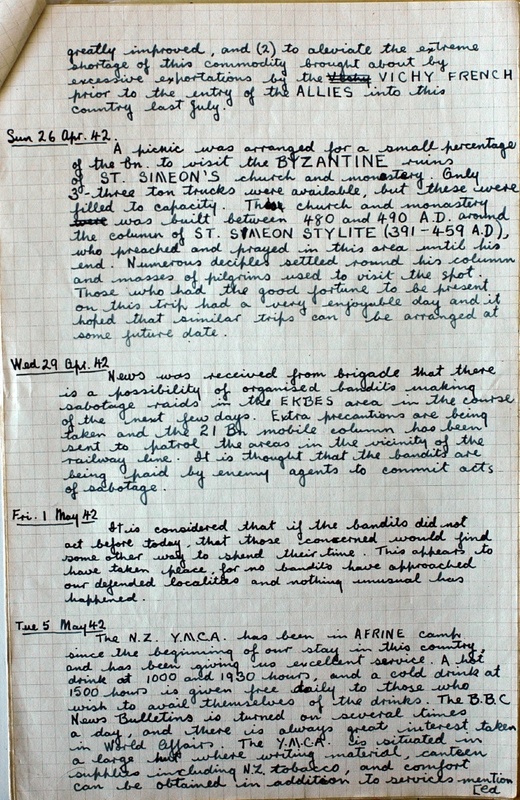 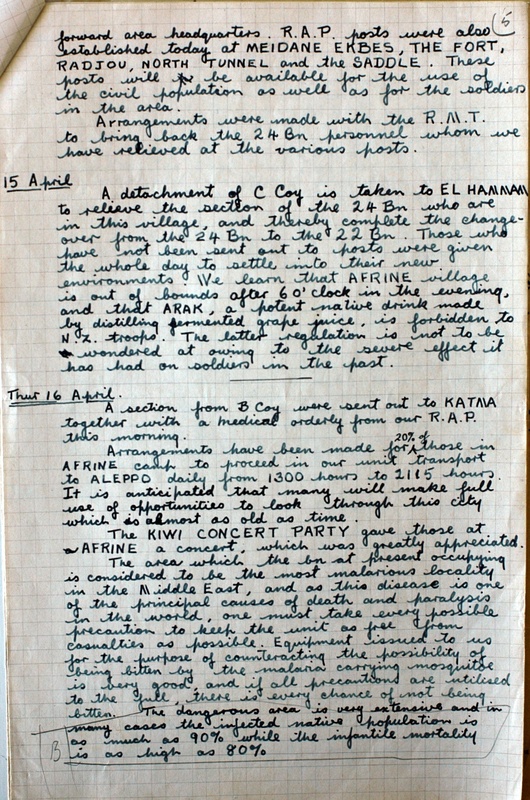 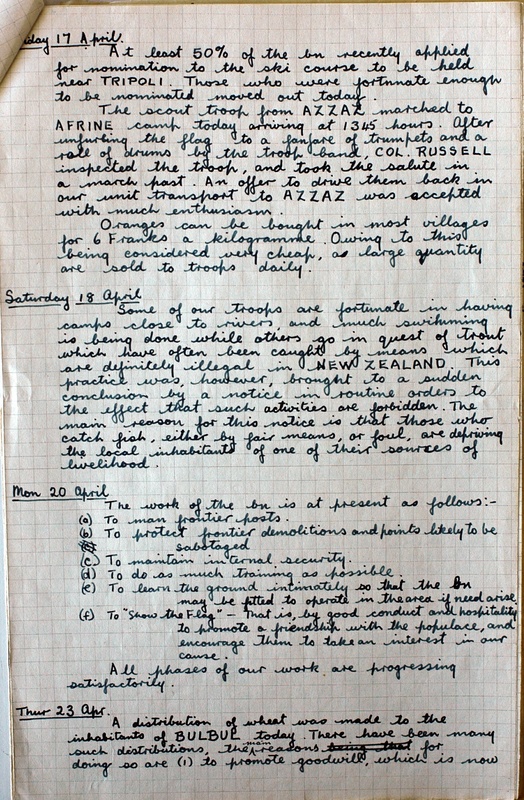 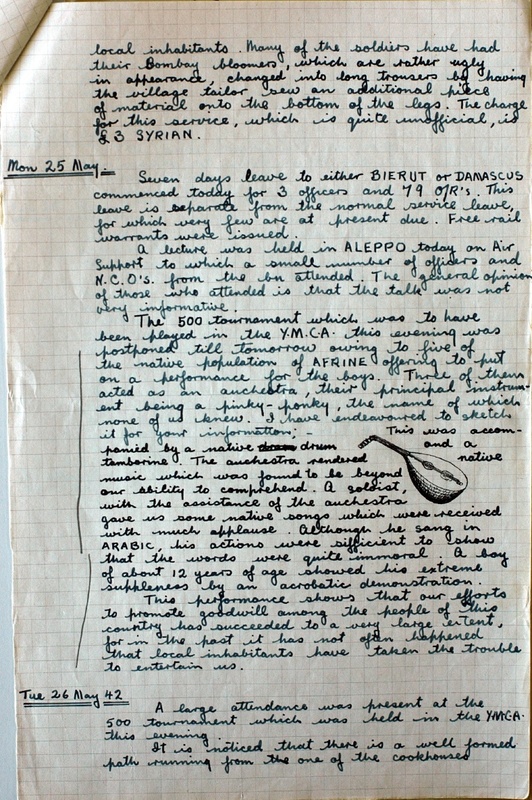 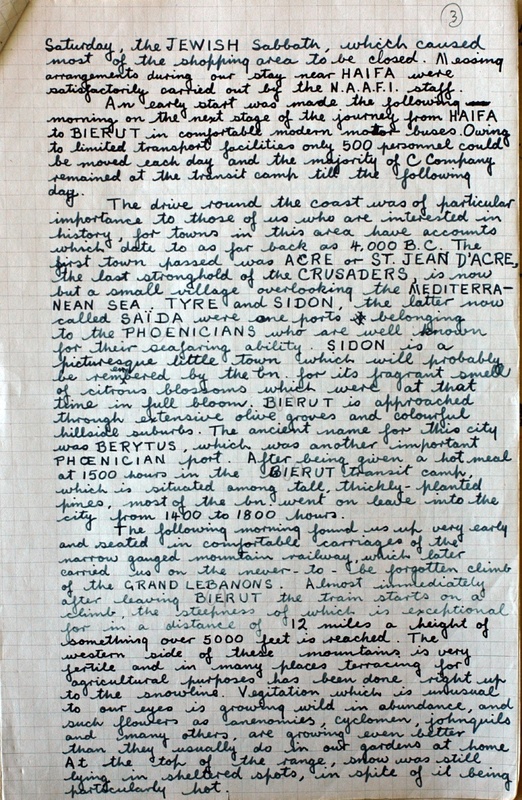 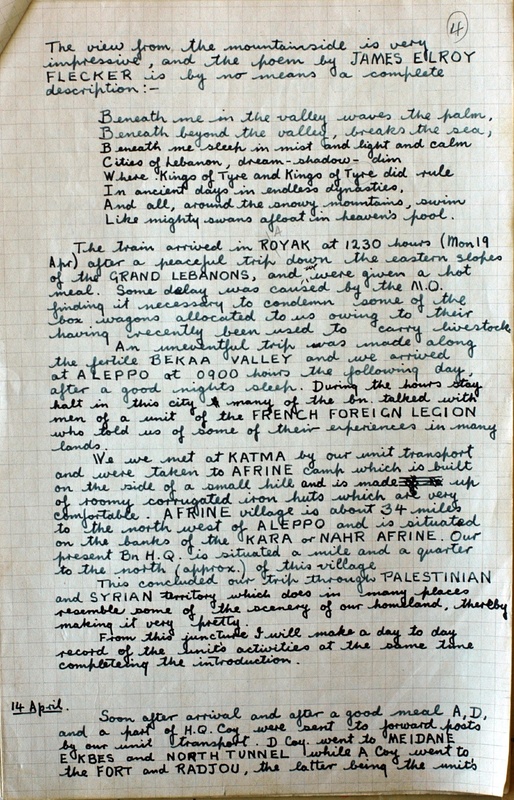 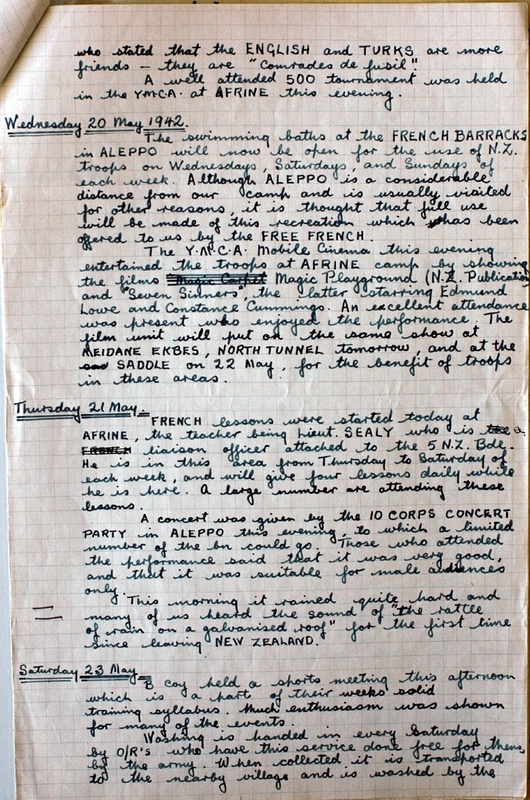 Amongst the 22 Battalion files is this hand written unofficial history of the Battalion's time in Syria. 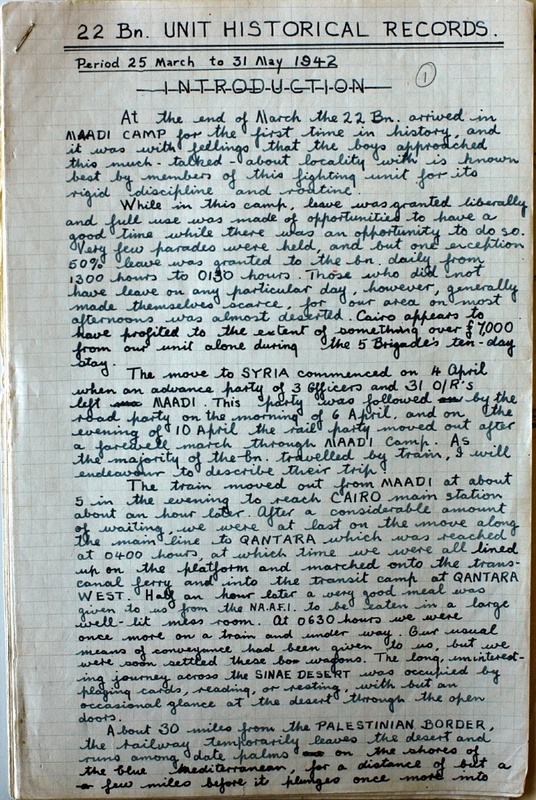 The author is unknown but it was likely to have been the Battalion's Intelligence Officer (LT A.L. HERDMAN), who was responsible for compiling the War Diary. 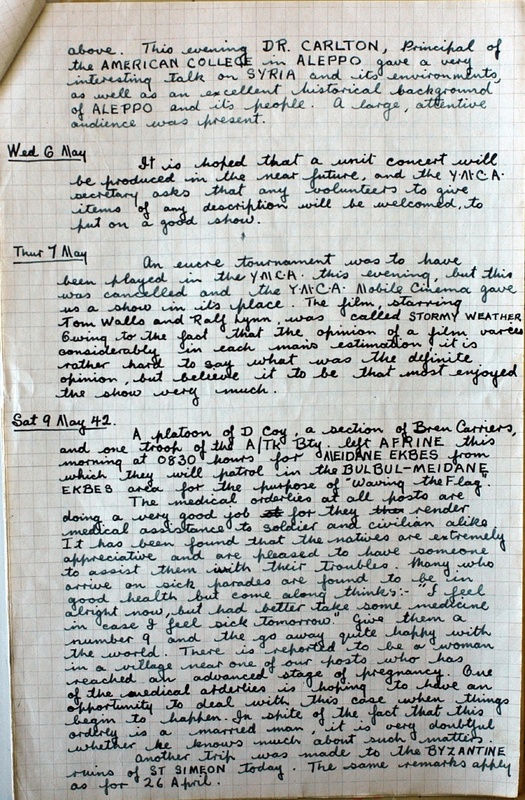 However the handwriting is different to the writing of the Diary for this time. There are some spelling mistakes in this history (BIERUT instead of BEIRUT and "vegitation") for instance that are not in the Diary, suggesting a different author. 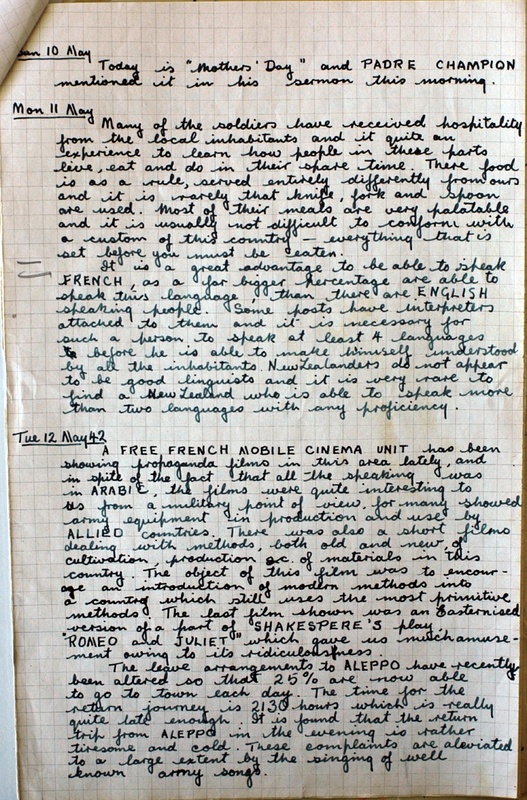 The writer was a good artist, judging by the sketch of the "pinky-ponky" on page 12. 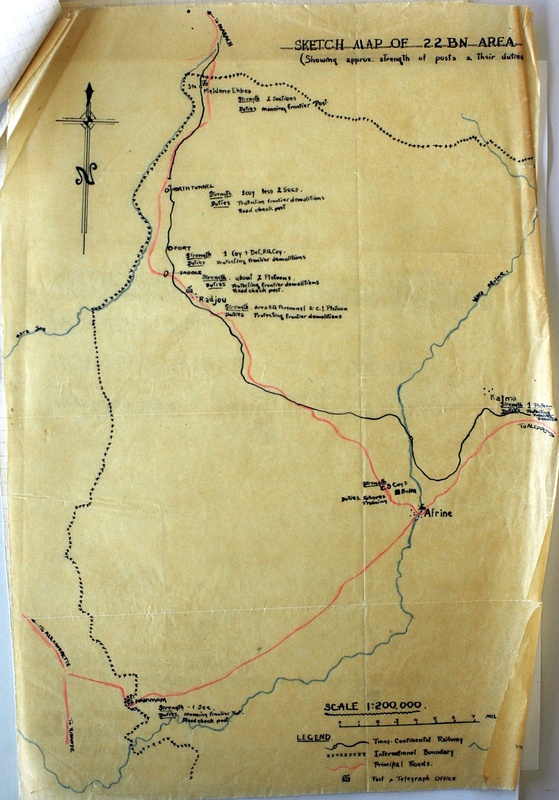 Unfortunately the sketch map at the end of the file is also not signed but is in the same hand..